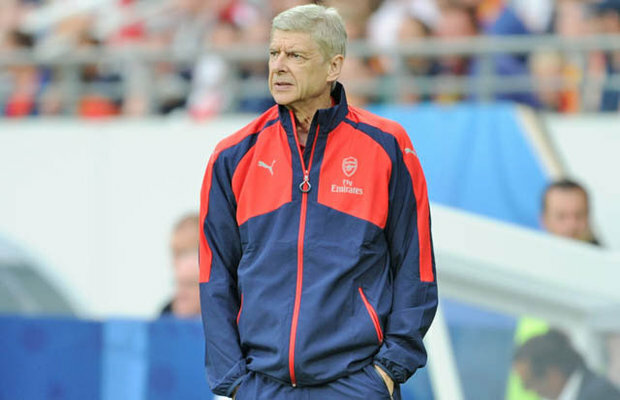 ARSENE WENGER has spoken out after he was linked with the England manager’s job. The Arsenal boss emerged as a bookies’ favourite after Roy Hodgson stepped down following the Three Lions’ humiliating Euro 2016 failure. And there was a suggestion that the FA would wait until his Gunners deal expires next year to appoint him. However, Wenger was passed over, with Sunderland manager Sam Allardyce chosen to lead England’s 2018 World Cup qualification bid instead. But the veteran Frenchman has insisted he was not distracted by the speculation. “I wouldn’t like to talk about all the talks the FA had, but I was focused anyway'” he said after his side’s 1-1 friendly draw with Lens on Friday night. And there were no signs of bitterness at Allardyce’s appointment. “First we want to be behind the guy who is in charge now, not talk about me managing England,” he said. “That would be unfair. He has my full support. No matter who manages England, he has my full support. “It’s my second country. I was a supporter of England and I was at every game. I feel there’s something there for this team to come out strong. Wenger has spent the last 20 years with Arsenal and became the Premier League’s longest-serving manager following Sir Alex Ferguson’s 2013 decision to retire after 27 years with Manchester United.